Specific rules and regulations to implement the foreign investment law, which will be formulated by relevant departments and local governments, will be effectively implemented to genuinely protect foreign businesses' interests in China amid a fresh round of reform and opening-up, experts said Thursday. China's Ministry of Commerce (MOFCOM) is working with other departments to promote specific rules in accordance with the new law, ministry spokesperson Gao Feng told a press conference on Thursday. Meanwhile, MOFCOM is coordinating the current rules on foreign capital management, with input from foreign-invested companies being actively sought in the process, said Gao. The full text of the new foreign investment law was released on Wednesday, which provides a legal basis for various aspects of foreign investment ranging from classification to management. Overall the law offers foreign investors equal treatment, greater access and better legal protection. The law was passed on March 15 by the 13th National People's Congress (NPC), China's top legislature. The foreign investment law, the first of its kind, will come into effect on January 1, 2020. Foreign enterprises and organizations are closely watching the process of the law's implementation at the local administrative authority level, and some have expressed concerns as to what degree the law can be fully used in reality to protect their interests and promote their investments. "Full implementation of the law will now require both extensive follow-through from the administrative authorities at all levels of government, and full support of the legal system in cases where protections found within the foreign investment law are not respected," the European Union Chamber of Commerce in China said in a document sent to the Global Times early March. 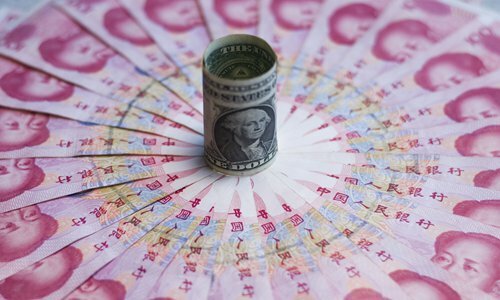 Yang Changyong, a senior research fellow at the Chinese Academy of Macroeconomic Research, told the Global Times on Thursday that the law is more a strategic guidance at the macro level. It is the responsibility of related departments and local governments to formulate regulations and rules to put the law into operation. "Overall the 41 articles, after three rounds of deliberation since the draft was first tabled for reading last December, cover most major concerns of foreign investors, since the nation is paying more attention to foreign capital in the new round of further reform and opening-up," said Yang. The final version of the law took into account some of the EU Chamber of Commerce in China's comments, indicating that although there were irregularities with the review and consultation periods, feedback has at least been given a degree of consideration, said the chamber. Yang added that the law is in line with the requirement that local governments do more to attract high-quality foreign direct investment (FDI) by creating a better business climate. In that sense, they will be in line with the spirit of the law. At a press conference after the conclusion of the annual session of the NPC on March 15, Premier Li Keqiang said China will introduce regulations and documents in accordance with the foreign investment law to protect the legitimate rights and interests of foreign investors. He said this is an important step that China must take to ensure the law is implemented smoothly. "There is no need for foreign companies to worry at the administrative level," said Yang, noting that if forced technology transfers or illegal government interference in foreign business practices, as banned under the law, were to occur, investigations and legal proceedings would follow. Vickie Tan, head of EY China central tax, told the Global Times that in addition to the role of genuine foreign business protection, the law also shows China's determination to open its doors to the outside. Specific measures to be rolled out will bolster the confidence of foreign investors in the Chinese market, said Tan. Germany-based Henkel said in a note sent to the Global Times that "China's continuing opening-up as well as its rapidly developing manufacturing sector and growing middle class are driving demand for Henkel's products and technologies, enabling us to diversify our portfolio and extend further our reach to customers and consumers… We look forward to further opening-up and deeper market reforms." FDI into China hit a record high last year, figures from the MOFCOM showed in January. The figure was 885.61 billion yuan ($130.84 billion), up 0.9 percent year-on-year. Also, 60,533 foreign-invested enterprises were newly established, up 69.8 percent year-on-year.